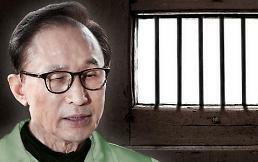 SEOUL -- South Korea's jailed ex-president Lee Myung-bak was sentenced to 15 years in prison corruption, embezzlement and other charges, becoming the country's fourth national leader to take a humiliating path. Lee, who served as president from 2008 to early 2013, was also slapped with a fine of 13 billion won ($11.6 million) and a forfeit of 8.2 billion won. 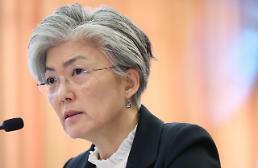 He boycotted Friday's session after a criminal court in Seoul allowed live TV coverage. 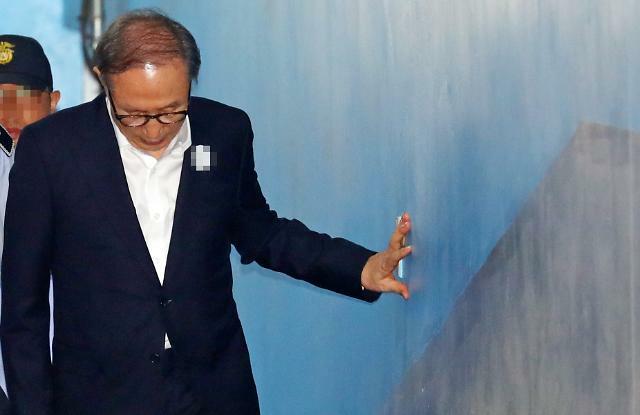 Lee has asserted his innocence, arguing prosecutors brought charges based on unreliable evidence, but he was found guilty of embezzling a company fund of 24.6 billion won and taking bribes from Samsung Electronics and others. "Serious punishment is inevitable," the court said, scolding Lee for shifting his responsibility to others and denying all of the crimes he has committed, even if there are credible statements from people concerned and objective evidence. 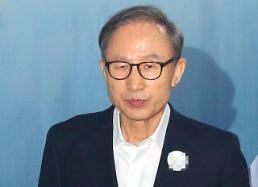 Lee has insisted he has never received bribes during his five-year tenure or used his position to pursue private interests, describing himself as the victim of political retaliation for the death of his predecessor, Roh Moo-hyun, who threw himself off a mountain cliff in 2009 following a humiliating probe into alleged corruption involving his family. At the center of debate has been DAS, an auto parts supplier for Hyundai Motor. The court sided with prosecutors, saying Lee is the real owner of DAS and used it to create a slush fund. The ex-president has insisted the company was owned and managed by his brother. The court ruled that Lee took bribes in return for favors that included $5.2 million from Samsung as well an illegal payment from South Korea's spy agency. Lee's successor, Park Geun-hye, should stay in prison for a total of 33 years for her role in a massive corruption scandal that revealed deep-rooted collusive ties between businessmen and politicians.